Your students’ educational travel program is approaching fast; itinerary, visas and documents are all arranged, now it’s time to pack! Packing is not an art, but you will probably ask yourself if you and your students have everything you need. To help you get started, here is our ultimate packing list for a school travel program to Asia. Water bottle (1 litre capacity). Across all of our trips, we encourage students and participants to reduce their use of single-use plastic. 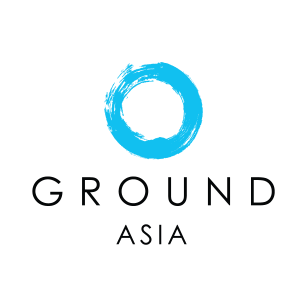 Filtered water is supplied by GROUND Asia and is readily available. A good daypack big enough to carry personal items such as a water bottle, camera, hat or sweater. Fleece/sweater for traveling. Busses and trains can get quite cold from the air-conditioning, plus during the winter months the temperature may drop and become quite cool, so be sure to check the weather conditions of the country you are visiting. Comfortable walking shoes such as trainers. These are better than boots as they dry quicker if you get wet. Sandals/flip flops are useful if you will be near water and also for down time. 2 Long trousers. Cotton is fine, but lightweight synthetics are better for hot, humid or wet climates. 2-3 Long-sleeved shirts to protect your arms from the sun and insects in some climates and to keep you warm in others. Pens, pencils, notebook, travel games and camera as needed. For young girls and women, it is important to dress in a more modest manner while traveling in Asia; short skirts or shorts and tank tops are not appropriate for visits to religious and culturally significant sights, so remember to pack clothing that covers the shoulders and knees – this goes for men too. As for your suitcase, we recommend to avoid hardshell luggage or suitcases due to the uneven surfaces or non-existent sidewalks. Soft backpacks or duffel bags that you can carry are better; they are also easier to fit into luggage compartments and to transport. If you haven’t yet booked your students’ travel program to Asia yet, check out our school travel programs here or simply get in contact with us.